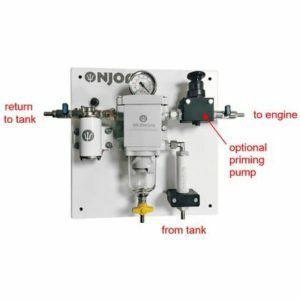 The SEPAR 2000 should be installed on the suction side of the fuel system, between the fuel feed tank and the engine mounted fuel lift pump. 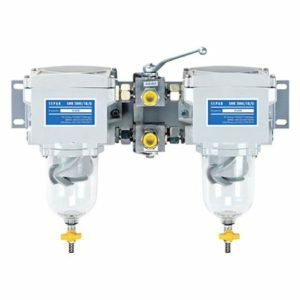 Separ 2000 series of fuel/water separators are compatible with B100 biodiesel. 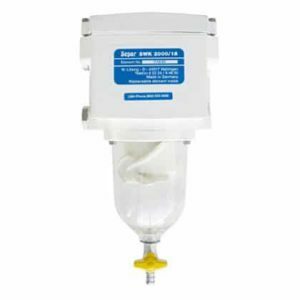 Separ 2000 series water separators fuel filters are a simple solution to many different fuel related problems. Five separate stages of filtration ensure 99.9% water separation (Certified TUV Report using SAE J1839) at maximum flow. Low restriction reduces wear on fuel pumps and ensures full RPMs. 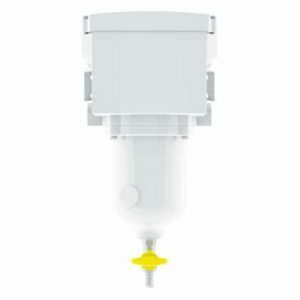 Back flushable (cleanable) element reduces down time and costly element changes. 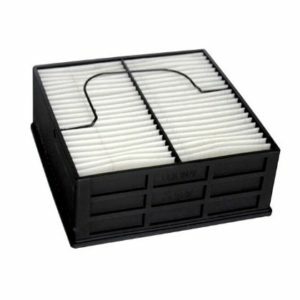 The ideal position for the filter is at the same height as the lift pump. However if the top of the fuel tank is above this position a full flow ball valve should be fitted, before, the filter so that the fuel flow can be shut off to allow filter maintenance. 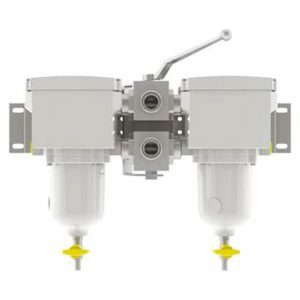 In applications where the fuel level is below the filter it is still advisable to install a full flow ball valve to prevent fuel draining back into the fuel tank.